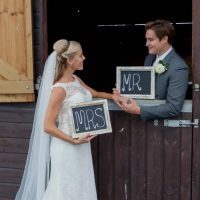 Boasting a fascinating history dating back to 1884, Plumpton Racecourse makes a charming setting for civil ceremonies and partnerships. 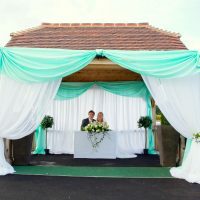 Set in the spectacular South Downs countryside, Plumpton Racecourse enjoys a romantic panorama of patchwork fields. 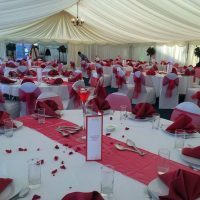 Fully licensed for weddings and civil ceremonies, there is a wide choice of venues and versatile packages. During fairer weather and lazy summer days, there is the option for outdoor celebrations and ceremonies in the Parade Ring. The dedicated wedding team offers a personalised service to ensure that your exclusive and memorable day exceeds your expectations. Choose from the trackside marquee restaurant, a selection of rooms and acres of picturesque grounds to host your guests, whether you fancy a small intimate gathering or larger celebration. Set on the first floor of the Sussex Stand and offering panoramic views of the grounds, the paddock restaurant benefits from its own bar and chair lift access. The beautiful and romantic Marquee Restaurant lies alongside the track offering sensational views of the final furlong. With space for up to 300 guests, chandelier lighting and private balcony it provides a lavish setting for grand celebrations. The versatile and private hospitality boxes provide the perfect setting for smaller more intimate gatherings. Overlooking the winning post via the private balcony, they afford generous views over the track. The private boxes cater from 8 to 24 guests dependant on the layout and can also be linked together to offer a larger space for up to 80 guests. Sourcing the very finest local and seasonal ingredients, the catering team can create a menu that is as mouth-watering as it looks. 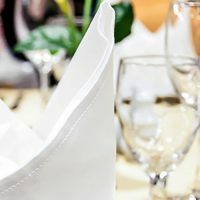 If you happen to have any special dietary requirements, contact the catering team to discuss your needs.